Brussels woke up with a terror hangover this Monday morning. The threat level remains at its highest level (level 4), for the second time only since it was created. While most of the city was shut down the entire weekend, schools and many public services remain closed at the time of writing. Security operations to dismantle a terrorist cell in Brussels are still ongoing, in the aftermath of the recent coordinated attacks in Paris. Although we still know very little about these operations and the cell that they aim to dismantle, we can make a number of observations related to the terrorist threat in Europe, and how to respond to it. Brussels woke up with a terror hangover this Monday morning. The threat level remains at its highest level (level 4), for the second time only since it was created. While most of the city was shut down the entire weekend, schools and many public services remain closed at the time of writing. Security operations to dismantle a terrorist cell in Brussels are still ongoing, in the aftermath of the recent coordinated attacks in Paris. Although we still know very little about these operations and the cell that the aim to dismantle, we can make a number of observations related to the terrorist threat in Europe, and how to respond to it. 1. Has the Islamic State (IS) shifted its terror strategy? This is perhaps one of the most important questions to be answered. Since its creation, IS focussed essentially on the ‘near enemy’, i.e. on Muslim ‘apostates’ in Iraq and Syria. This was one of the key distinctions between IS and al-Qaeda, the latter focussing more on the ‘far enemy’, i.e. the West, in order to weaken its influence in the Middle East. This key distinction somehow made IS a less direct threat to Europe and, as a result, limited the scope of the response. Things may be changing, however. After the downing of the Russian plane in Egypt and the attacks in Lebanon and Paris, all claimed by IS, as well as the recent threats issued by IS against European and American cities, we must wonder whether the group has shifted its focus to the ‘far enemy’ – and why? Were all these attacks ordered and coordinated by IS leadership (following al-Qaeda’s 9/11 model), or did some of the Syrian ‘returnees’ take the initiative on their own, in a more decentralised manner (more like al-Qaeda’s late 2000s model)? It is too early to answer these questions, obviously, but elements of response are expected from the current investigations and operations in Brussels, which could clarify the links between the European terrorist cell and IS leadership. The answers to these questions will determine the level of threat in Europe. A shift in IS’s strategy will increase durably the terror alert across Europe. Answers should also guide Europe’s response. In the case of centrally coordinated attacks, communications with IS leadership could be traced or monitored (in Europe and in Syria), whereas in the case of autonomous cells, it is the intra-cell communications that should be prioritised. A hierarchical model also requires perhaps more international cooperation than a decentralised one. 2. Terrorism is borderless, and so should be counter-terrorism. The terrorists that attacked Paris had different nationalities, were trained in Syria, and returned to Europe through different paths. 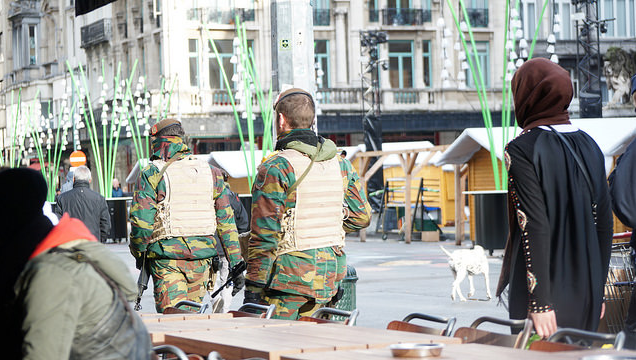 After the attacks, some managed to escape and retreat to Brussels. The paradox of counter-terrorism is less that terrorists ignore borders, but rather that they take advantage of them. A large part of the response to terrorism, in contrast, takes place within set borders, at the national level, through intelligence, security and judiciary services. The challenge of counter-terrorism is therefore to coordinate the work of these services in order to manage the threat. The good news is that a lot of cooperation already takes place, at the bilateral level notably. A number of measures have also been taken at the European level, to coordinate efforts and facilitate the exchange of information. The bad news is that cooperation among intelligence services will always be restricted, by nature. It also appears that national authorities have been reluctant to use some of the existing instruments, such as the Schengen Information System (to exchange information about individuals or weapons), which could have proven useful to spot terrorist suspects within Europe. The national and bilateral levels will always predominate over EU-wide cooperation in the area of counter-terrorism. However, one should not diminish the role of the EU in this policy domain either. The EU adopted a counter-terrorism strategy in 2005, which offers some basic guidelines for European cooperation, and a Counter-Terrorism Coordinator, which ensures the follow-up of this strategy. There are also useful EU instruments, such as the SIS or the European Arrest Warrant, as well as agencies, such as Europol and Eurojust, and Council mechanisms, such as the working groups gathering national experts on terrorism (code-named COTER and JAI) and even the top security authorities (code-named COSI). All these instruments, agencies and mechanisms are signs of a willingness to cooperate on these issues at the European level, but the fact that most people ignore even their existence is the evidence that they should still be further trusted and empowered. 3. The terrorist threat requires a comprehensive response. The terrorist threat must be addressed in a long-term perspective, and in all its complexity. At the national level, this means that governments’ responses must go beyond narrow security measures. At the moment, measures of urgency have been taken in France and Belgium to manage and curb the threat. Some of these measures are debatable, such as Belgium’s plan to send all ‘returnees’ to prison – where some of the terrorists were actually radicalised. Yet, overall, the adoption of security measures was necessary operationally and appropriate politically. What is needed now, however, is a broader set of measures designed to address the terrorist threat in its entirety, from the issue of radicalisation to the challenge of societal resilience (let me point out on this last aspect that Belgians did not lose their legendary sense of humour, as they relayed anti-terrorism operations by tweeting pictures of cats, after the police asked not to talk about ongoing operations on social media). In short, Belgium and other European countries need good counter-terrorism strategies. In Belgium, the need for a strategy is further reinforced by the complex institutional landscape, where competences (on security, religion, schools, prisons, etc) are divided between the federal government, regions and cities. At the international level, Europe’s response should be comprehensive as well. François Hollande, the French President, reacted to the Paris attacks by declaring war on IS. He also called upon European solidarity by invoking a mutual defence clause, to which all EU Member States responded positively. An escalation of military operations against IS is therefore expected – although sending European ground troops still remain out of the equation so far. Air strikes can weaken IS, to be sure, but it will never defeat it. The military offensive must thus be complemented with renewed diplomatic efforts. Paradoxically, whereas IS was directly benefitting from the international divisions between Russia and the West over Syria, as IS was clearly not the main target of Russian air strikes, the terrorist group’s recent attacks against Europe and a Russian plane may have unlocked the diplomatic stalemate and facilitated the building of a global coalition against itself. Even China, which remained extremely cautious so far, has raised its rhetoric against IS, following the beheading of a Chinese hostage few days ago. To be sure, some key questions remain in the way of a diplomatic deal on Syria – such as the future of Assad’s regime – but we are now certainly closer to a solution than a week ago. And such deal would be a major step in the fight against IS.